A special performance by Neil Sedaka will take place on September 7th. East Meadow, NY - September 4, 2013 - Nassau County Executive Edward P. Mangano has announced that award winning songwriter Neil Sedaka will be performing at Eisenhower Park’s Harry Chapin Lakeside Theatre on, Saturday, September 7th. The concert begins at 7:00 p.m.; admission is free. Neil Sedaka will be replacing David Cassidy. Singer. Songwriter. Composer. Pianist. Author. These are just a few of the titles that can be used to describe Neil Sedaka. His impressive fifty year career ranges from being one of the first teen pop sensations of the 50’s, a relevant songwriter for himself and other artists in the 60’s, a superstar in the 70’s, remaining a constant force in writing and performing presently. This is all thanks to the countless songs he has written, performed, and produced that continue to inspire artists and audiences around the world. Sedaka catapulted into stardom after Connie Francis recorded his “Stupid Cupid.” As a result of that hit, Sedaka was able to sign a contract with RCA as a writer and performer of his own material. Sedaka soon recorded chart toppers “The Diary,” “Oh! Carol,” ” Stairway to Heaven,” “Calendar Girl,” “Little Devil,” “Happy Birthday Sweet Sixteen,” “Next Door To An Angel,” and “Breaking Up Is Hard To Do,” songs that have become a part of peoples’ lives and can instantly take listeners back to special moments. His music became distinguished for a unique recording style involving multi-tracking his own voice. The concert is free of charge, but we encourage those who can, to make a contribution to the Nassau Hurricane Recovery Fund. The Fund continues to help residents severely impacted by Sandy. No donation is too small. Help us help our neighbors. 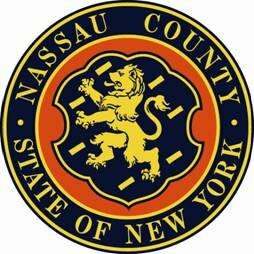 There will be donation jugs at the two main entrances to the theatre lawn from 5:30 p.m. – 7:30 p.m.
Much of the programming at the Lakeside Theatre is made possible through the Nassau County Hotel/Motel Proceeds Grant, which are proceeds from taxes on hotel and motel rooms in Nassau County. Since 2006, Nassau County has received more than ten million dollars from the Hotel/Motel Proceeds Grant, which also has assisted in historic building restoration and other cultural enhancements. The Harry Chapin Lakeside Theatre is located near parking fields 6 and 6A in Eisenhower Park. Lakeside Theatre is a venue with no formal seating. Concertgoers are urged to bring folding chairs or blankets. Special accommodations are available for disabled patrons, including reserved parking, easily accessible restrooms and a convenient reserved location on the hill. Assistive hearing devices are also available upon request for the hearing impaired. Eisenhower Park is located in East Meadow, with entrances on Hempstead Turnpike and Merrick Avenue. As one of the largest public spaces in the New York metropolitan area, Eisenhower Park offers a full range of athletic and family activities, including one of the finest swimming facilities in the U.S., three world-class golf courses, dozens of athletic fields and courts, picnic areas, playgrounds, fitness trails and more. For further information, contact the Parks Public Information Office at: (516) 572-0200 or visit the Nassau County Parks, Recreation and Museums website at: www.nassaucountyny.gov/parks. Subject: LongIsland.com - Your Name sent you Article details of "Mangano Announces Neil Sedaka To Perform At Eisenhower Park’s Lakeside Theatre"